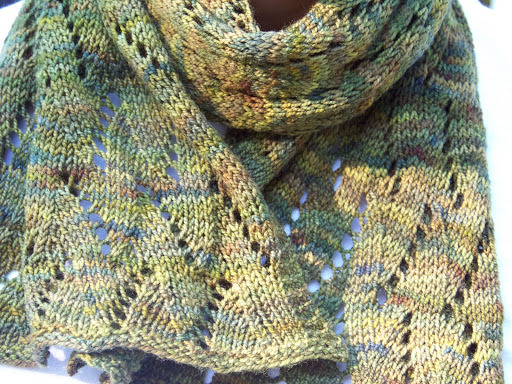 Caty’s scarf is finally finished.I love this wool from Sanguine Gryphon. The only down side to this project is there just isn’t enough. The color is amazing and the fiber feels wonderful next to your skin. 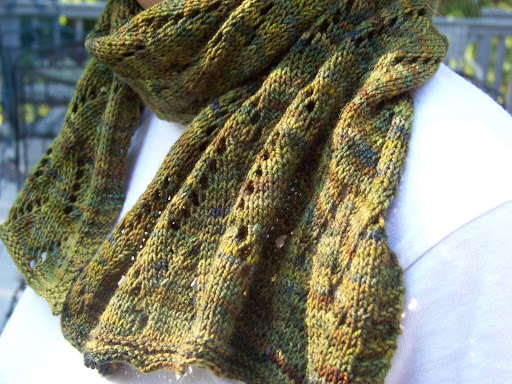 But there isn’t enough in the skein to make a nice long scarf. She said she loved it anyway and declared it perfect. Doesn’t it look pretty on her? This last one is the most correct color wise. 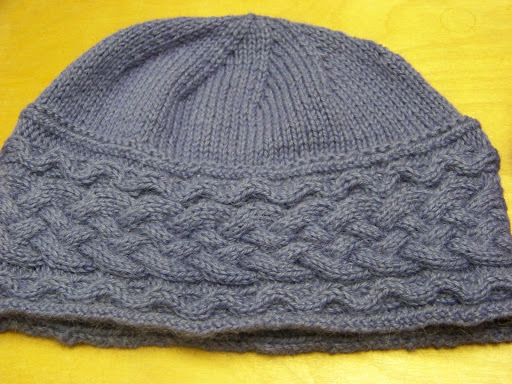 a cabled chemo cap for one of Catydid’s professors. 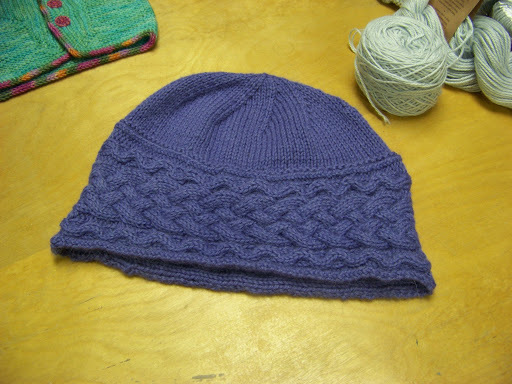 I am happy with the design but not sure about the yarn. It maybe a little too scratchy for her delicate skin. I think I will put a note in letting her know I am not happy with the yarn and will knit her something softer if this doesn’t work. 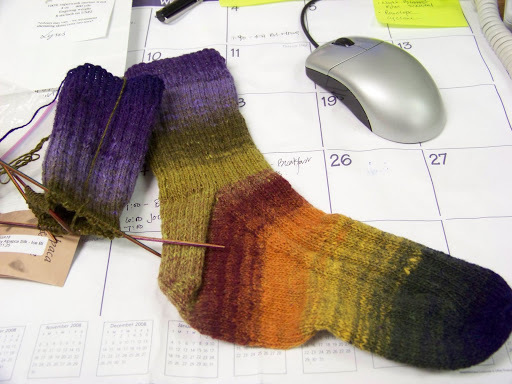 Almost finished with a pair of Noro Sock yarn socks. Just a simple k3,p1 pattern. Didn’t want anything too crazy as the yarn is sooo patterned. I haven’t washed the first finished sock so I am counting on all of you who said this yarn softens up when washed, because it is incredibly scratchy and stiff right now. But I love the colors and am working on a design for the second skein which has more blues, greens, purples and pinks. Caty is already calling dibs on this pair. I have been working on her Fair Isle vest and zeroing in on the shoulders. One more pattern repeat and bob’s your uncle. Then I have two Christmas stockings I agreed to knit by November. What was I thinking? I don’t like knitting these things. No, that’s too mild, I despise knitting these things. They are intarsia and with acrylic yarn. Need I say more?. I have to learn how to say no. This also brings up the question of what my work is worth. I would love to charge her $90 a piece so I won’t ever have to make them again. (She has asked every year for the last 4years, right before Christmas, so I guess we are making progress that she got them to mein September). But I am sure she will choke at this price. I do think my effort is worth this much. I spend the whole time knitting them thinking about all the fun knitting I could be doing. Not too many happy thoughts knit into these suckers. 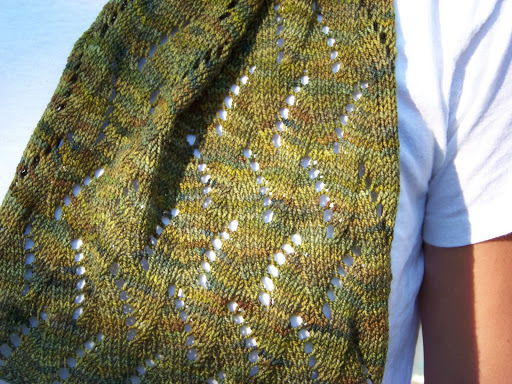 I am getting too old and life is too short to spend anytime knitting things I don’t love. 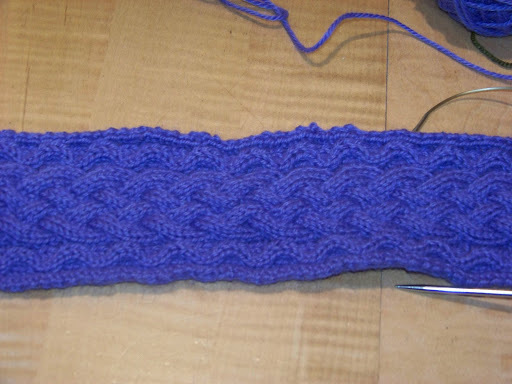 Boring knitting should be paid at time and a half, and intarsia should be double-time. Plus at least an additional 20% surcharge for acrylic. Better yet, the Christmas sock person really NEEDS to learn to knit her/his own dang stockings.I have a couple of skeins of the Noro sock languishing due to scratchiness – it’s good to hear it softens up eventually. 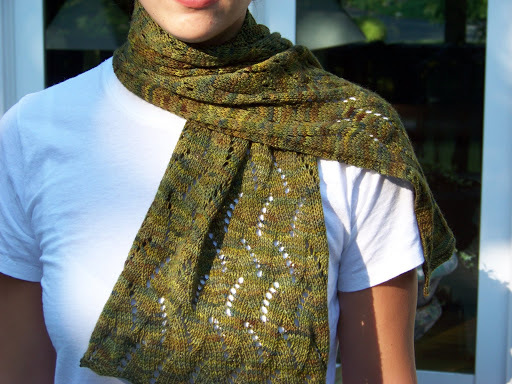 I wonder if it would be OK to wash it before knitting, so it’s easier on the hands?That scarf is lovely, soft looking, in that open lace pattern. I need some inspiration for knitting. Just started a children’s sweater. The days are getting cooler.